From the New York Times bestselling author of The Red Tent and Day After Night, comes an unforgettable coming-of-age novel about family ties and values, friendship and feminism told through the eyes of young Jewish woman growing up in Boston in the early twentieth century. Addie Baum is The Boston Girl, born in 1900 to immigrant parents who were unprepared for and suspicious of America and its effect on their three daughters. Growing up in the North End, then a teeming multicultural neighborhood, Addie’s intelligence and curiosity take her to a world her parents can’t imagine—a world of short skirts, movies, celebrity culture and new opportunities for women. Addie wants to finish high school and dreams of going to college. She wants a career and to find true love. Eighty-five-year-old Addie tells the story of her life to her twenty-two-year-old granddaughter, who has asked her “How did you get to be the woman you are today.” She begins in 1915, the year she found her voice and made friends who would help shape the course of her life. From the one-room tenement apartment she shared with her parents and two sisters, to the library group for girls she joins at a neighborhood settlement house, to her first, disastrous love affair, Addie recalls her adventures with compassion for the naïve girl she was and a wicked sense of humor. 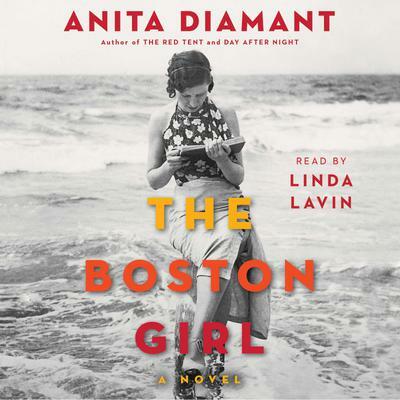 Written with the same attention to historical detail and emotional resonance that made Anita Diamant’s previous novels bestsellers, The Boston Girl is a moving portrait of one woman’s complicated life in twentieth century America, and a fascinating look at a generation of women finding their places in a changing world.